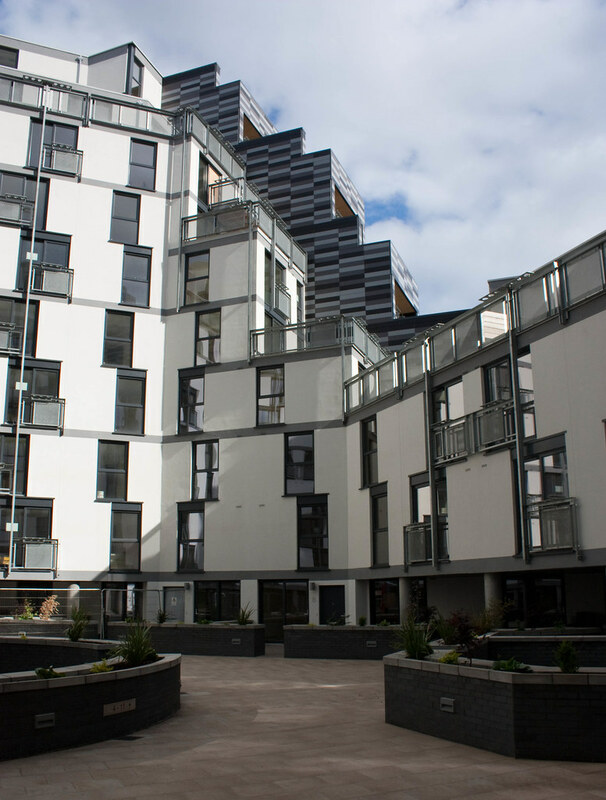 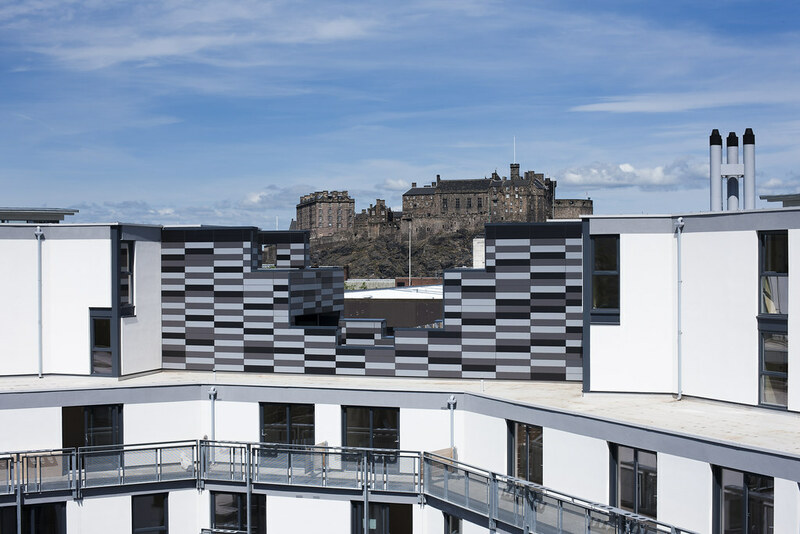 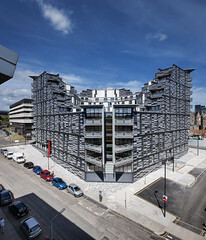 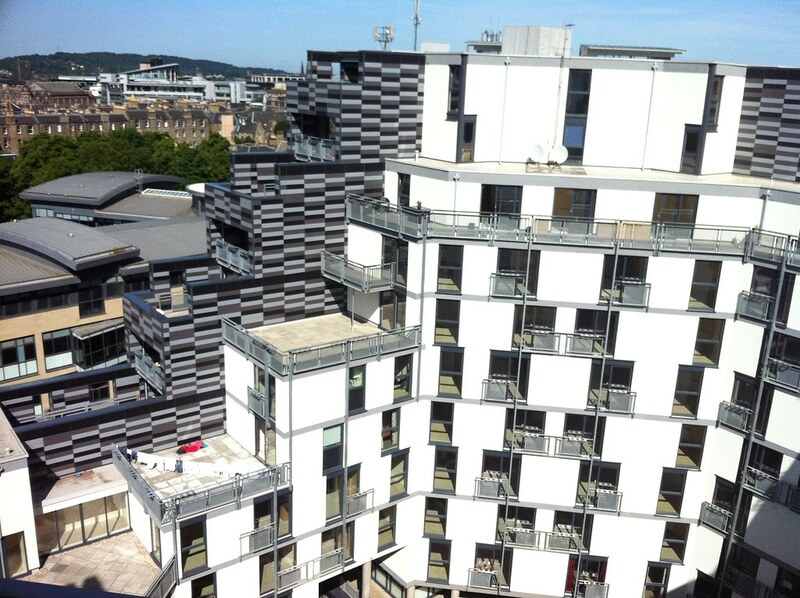 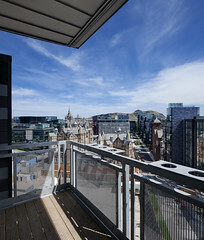 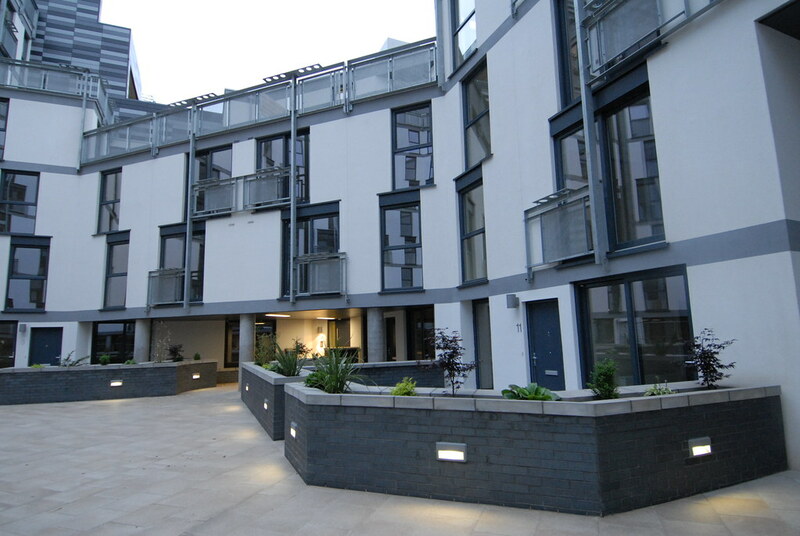 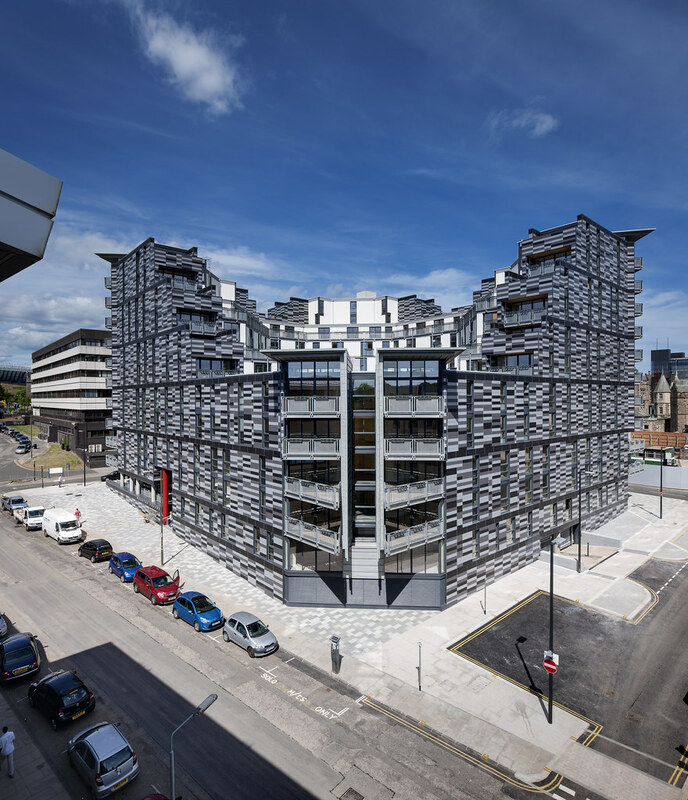 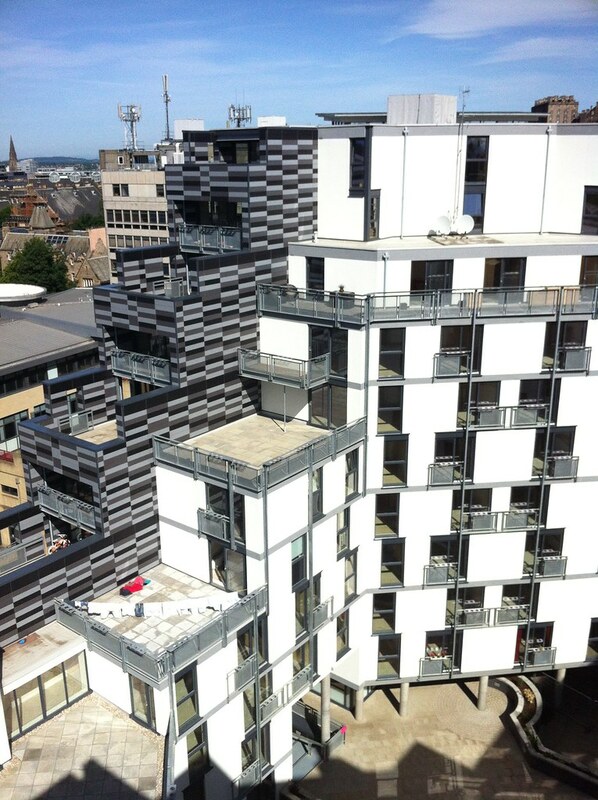 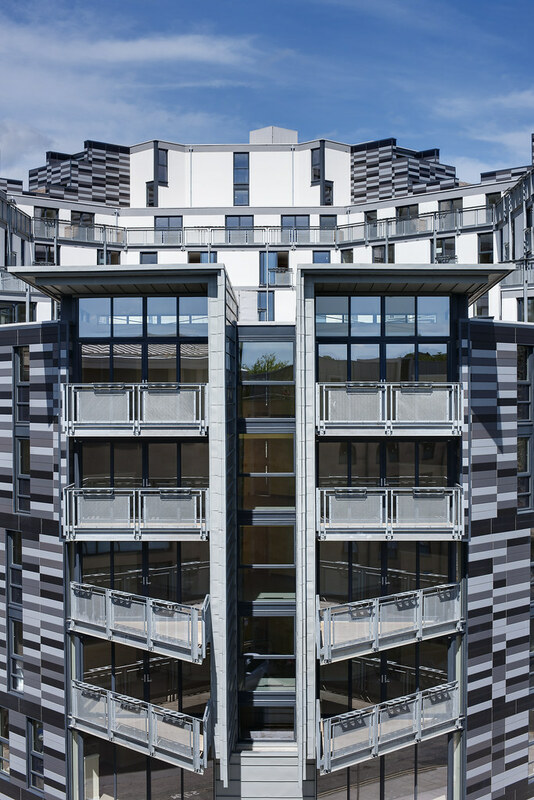 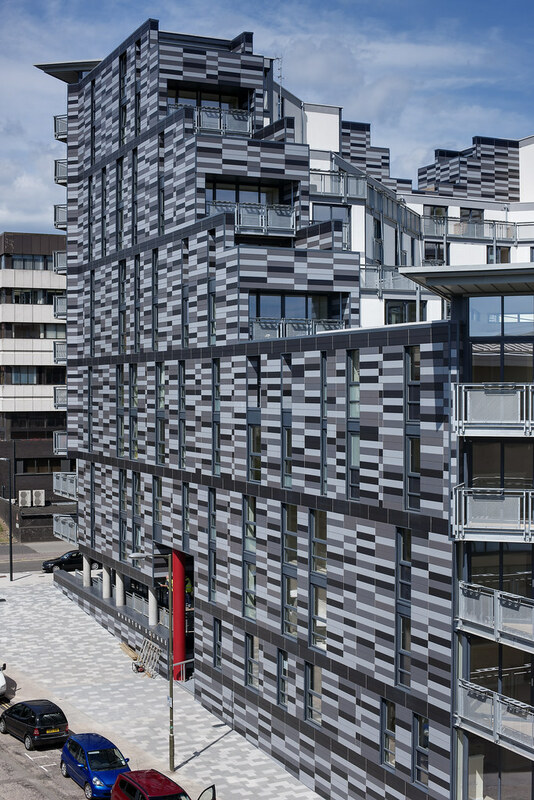 Q10 provides the affordable housing component of the overall Quartermile development creating 174 apartments in a single block at the west end of the site. 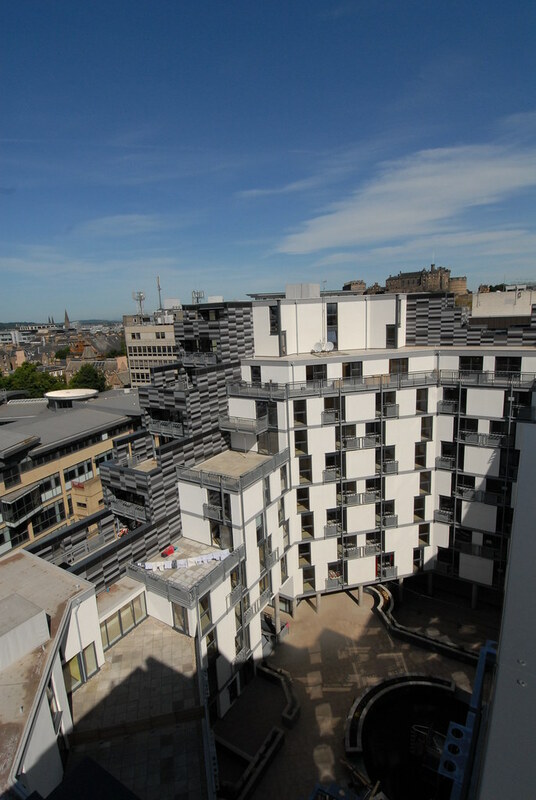 The overall increase in residential accommodation across the Quartermile site meant a requirement for an increase in the affordable housing provision as part of the development. 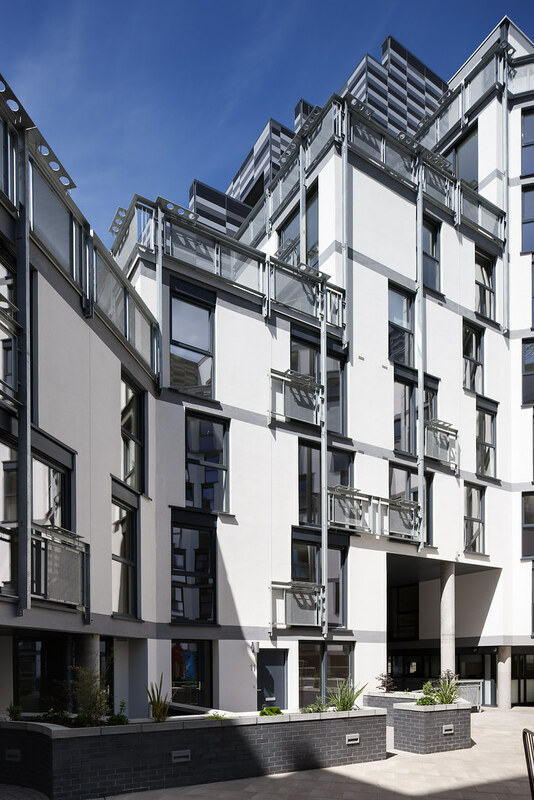 The general strategy within the amended masterplan was to increase the number of units on the Q10 site within the massing models developed for the overall scheme and with an emphasis on the quality of the apartments to be provided. 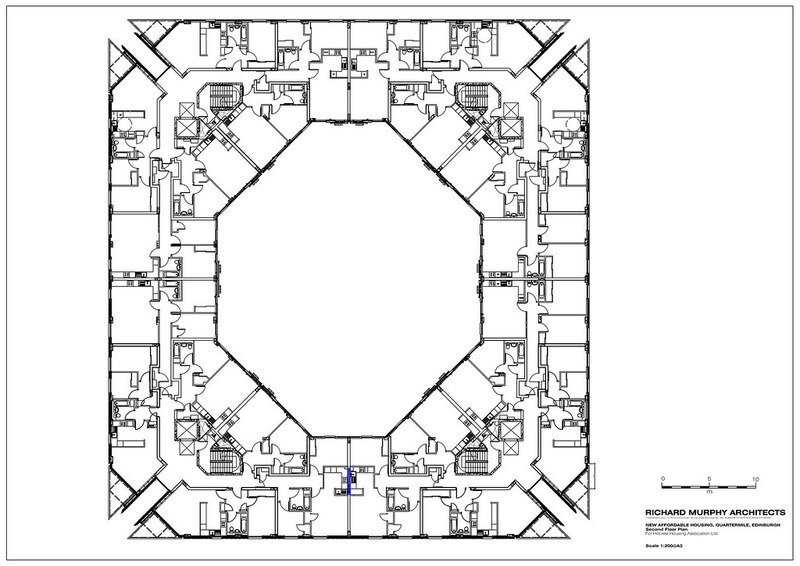 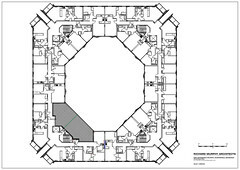 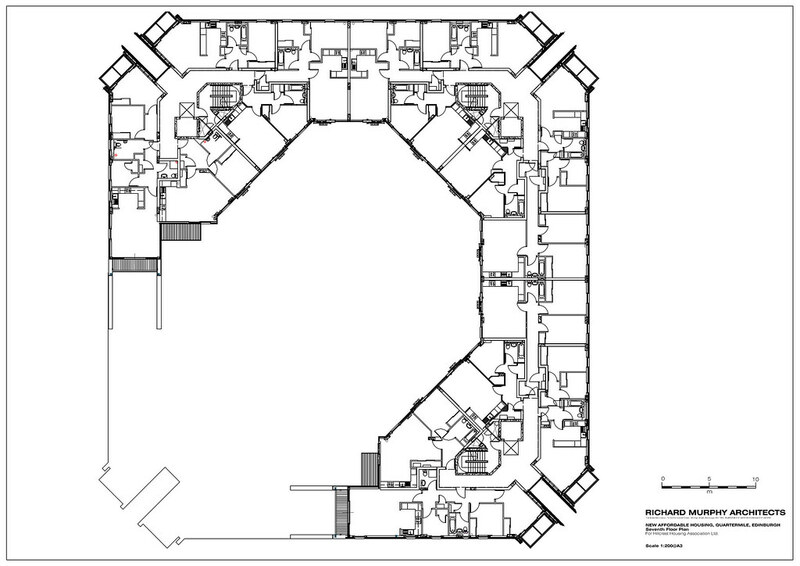 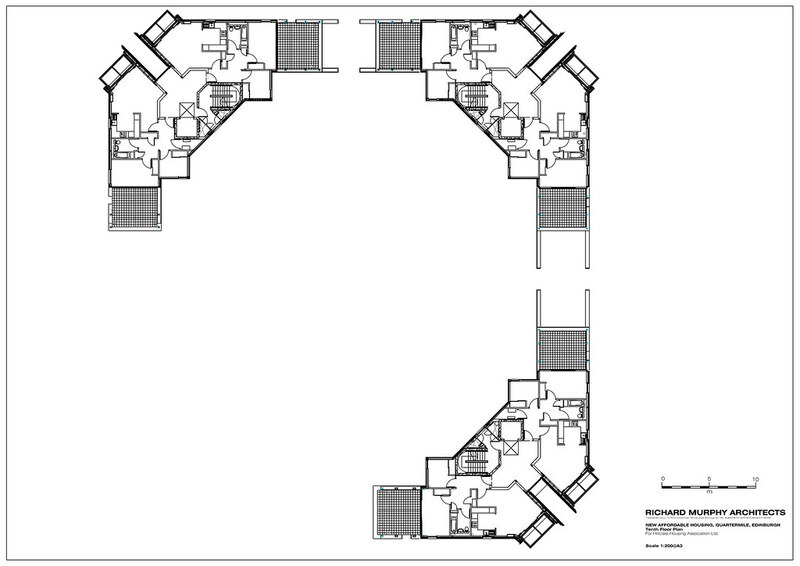 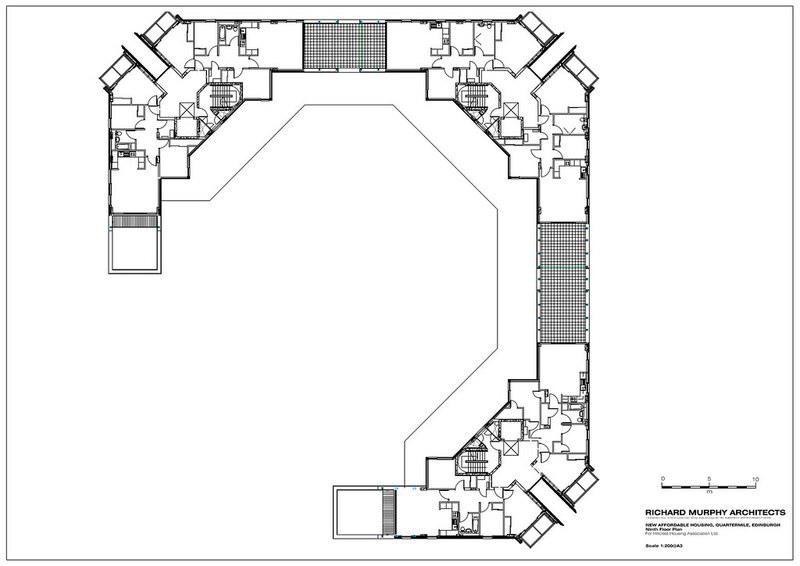 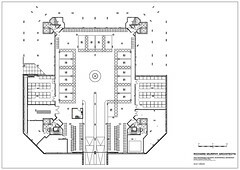 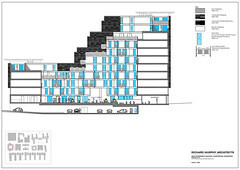 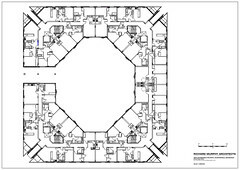 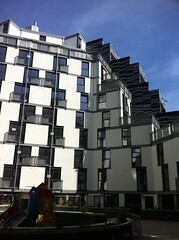 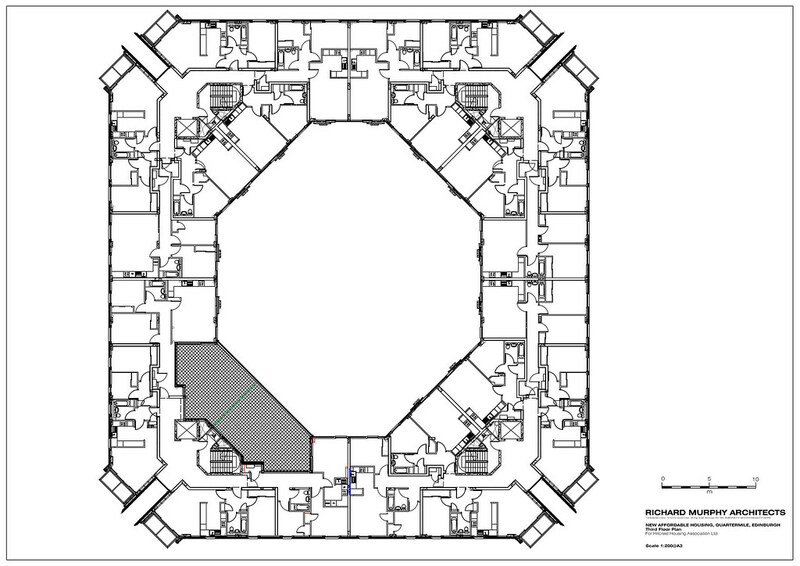 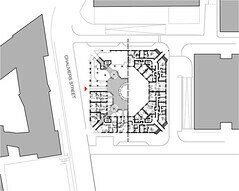 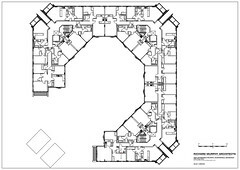 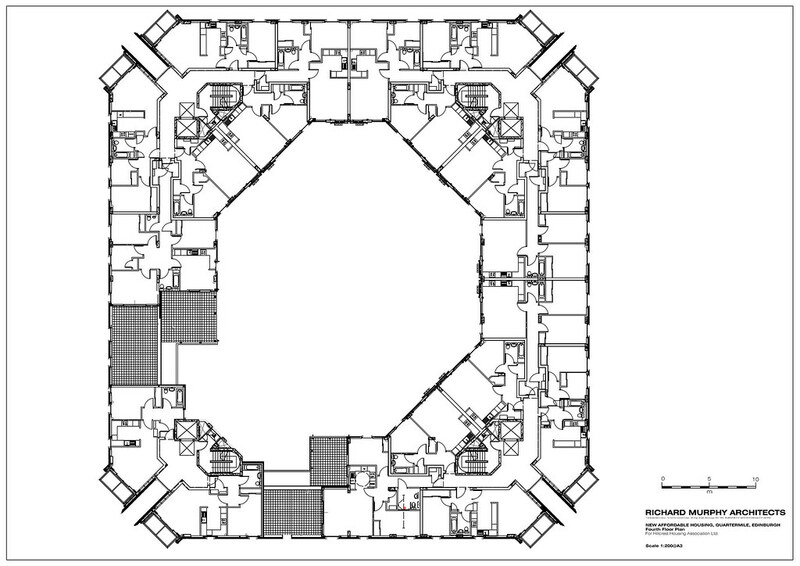 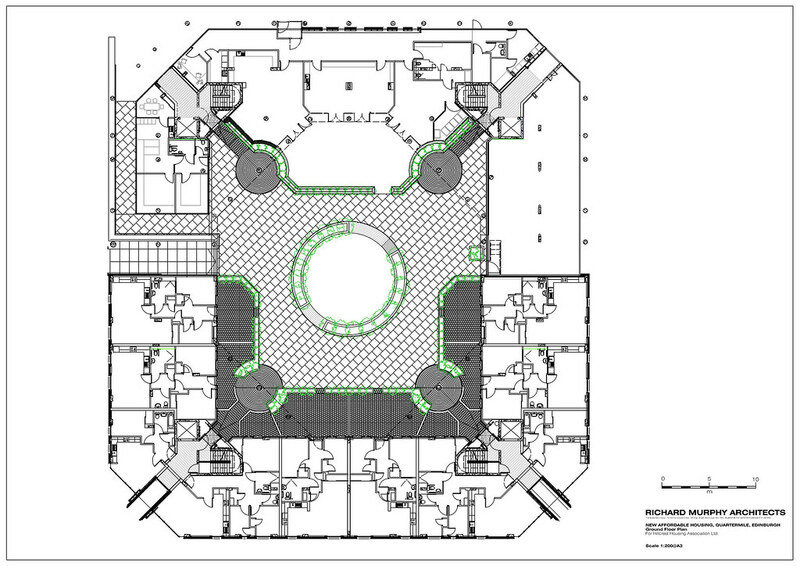 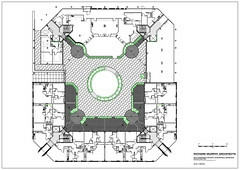 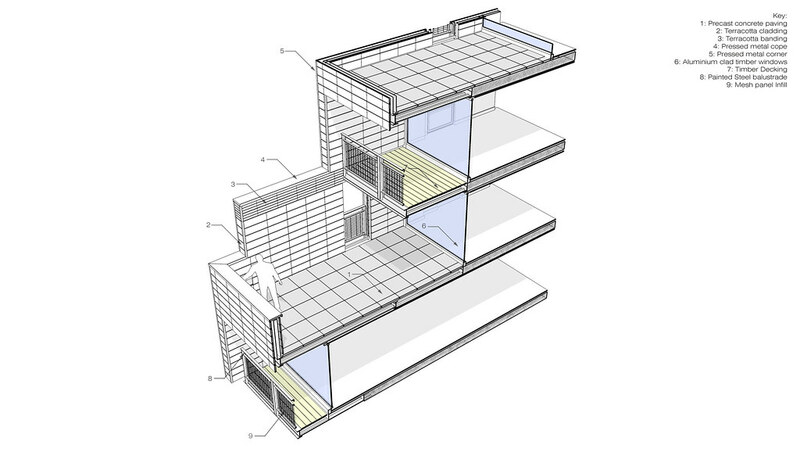 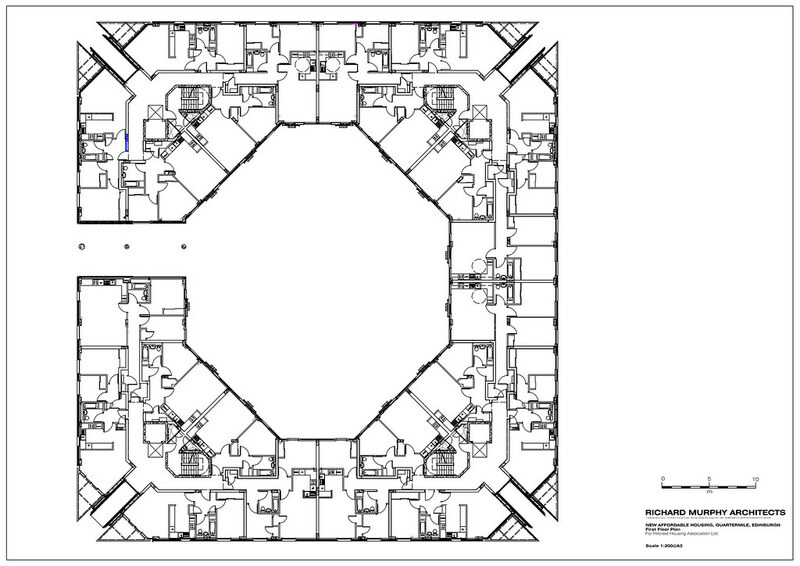 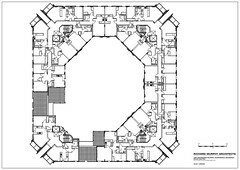 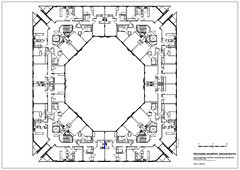 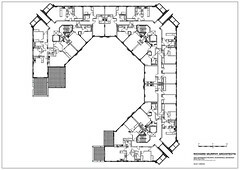 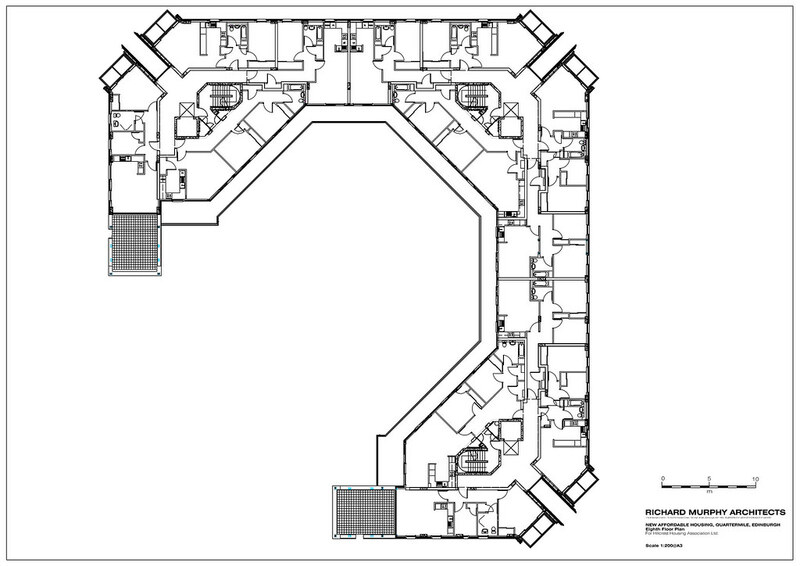 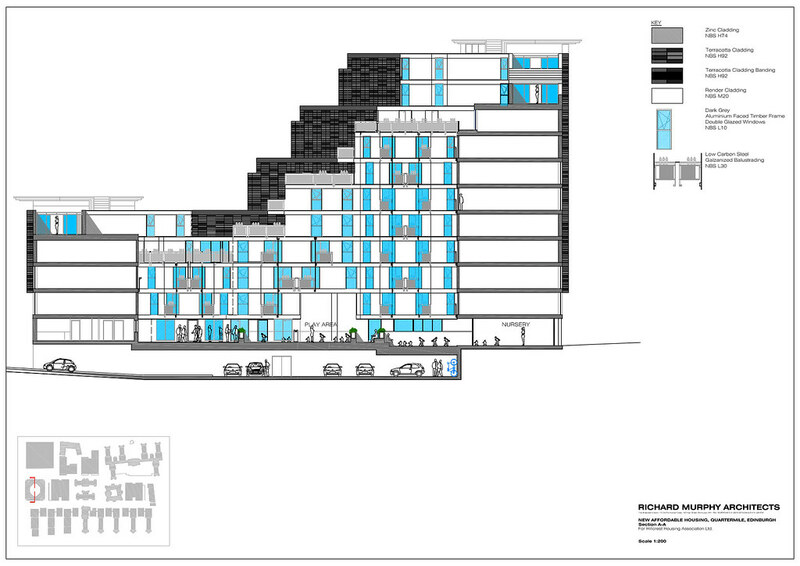 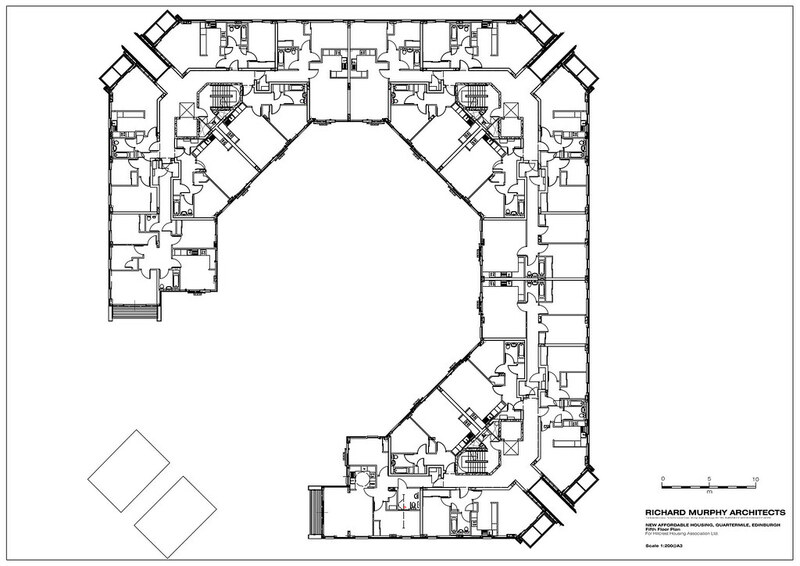 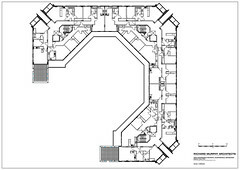 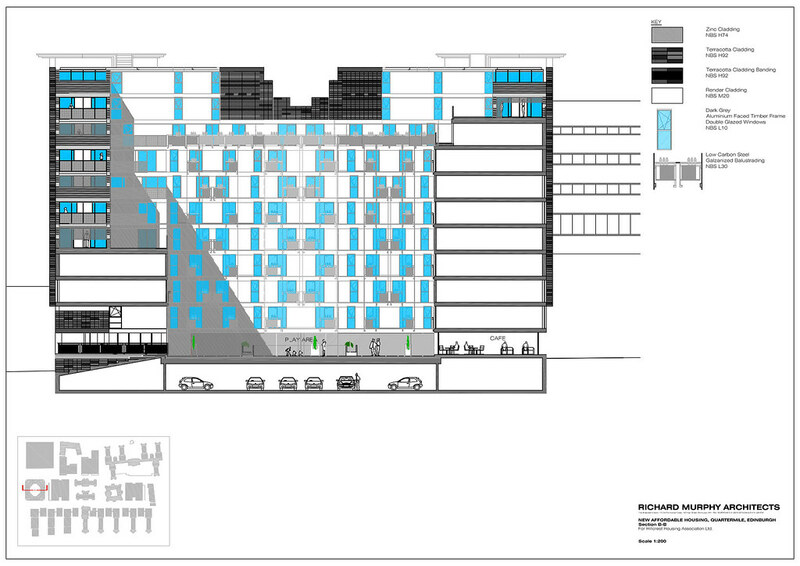 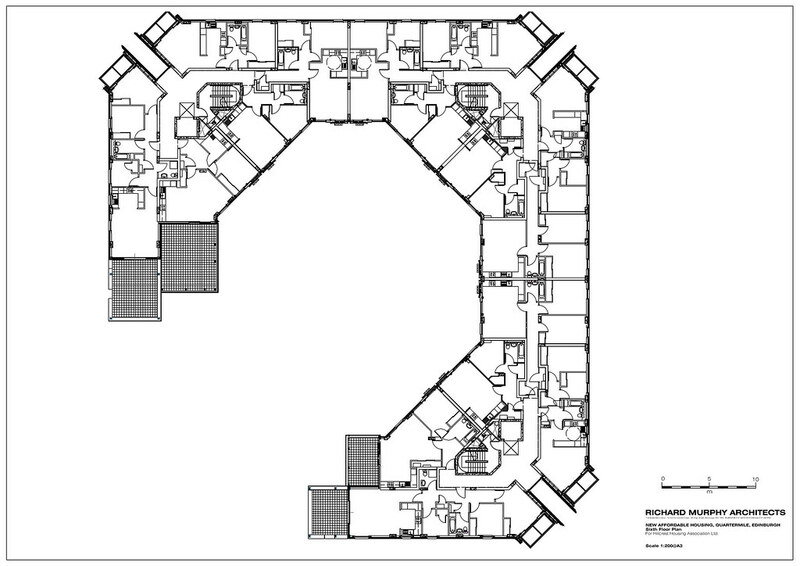 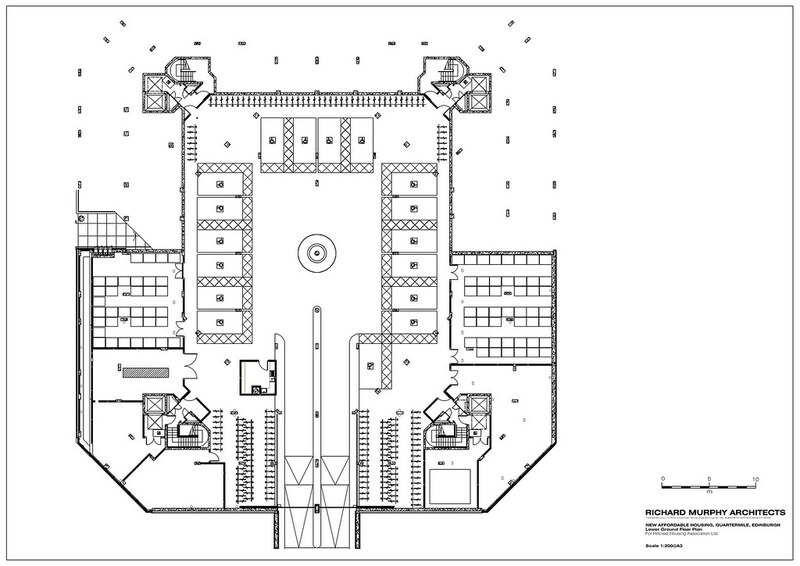 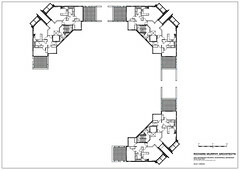 The revised strategy for the scheme arranged flats around an octagonal central courtyard. 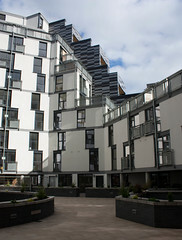 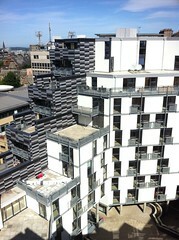 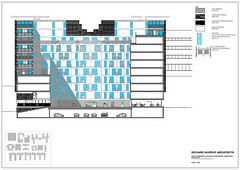 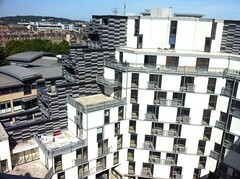 The scheme rises to five storeys around the shared court and then separates into corner towers which step back from the south west corner to reach a tenth storey on the north east corner. 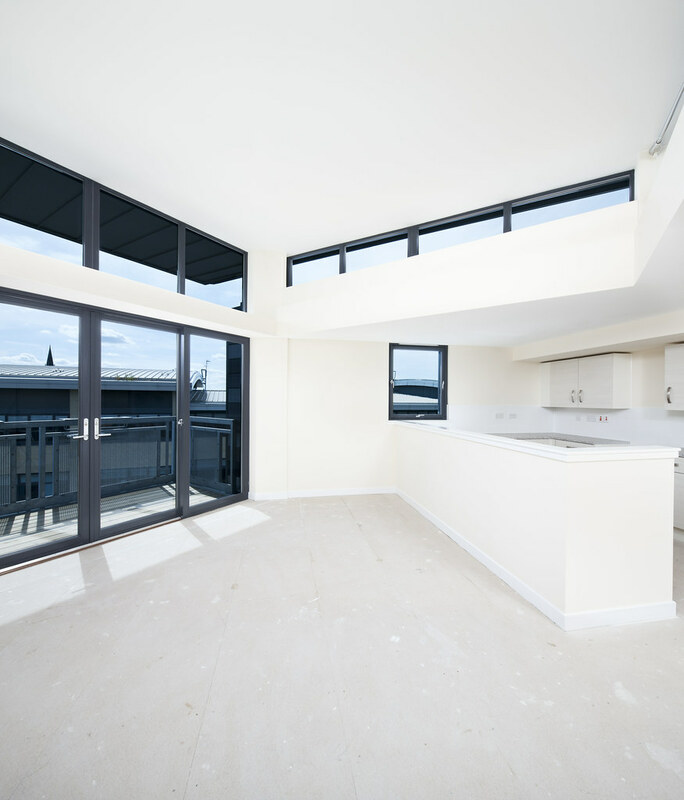 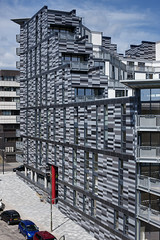 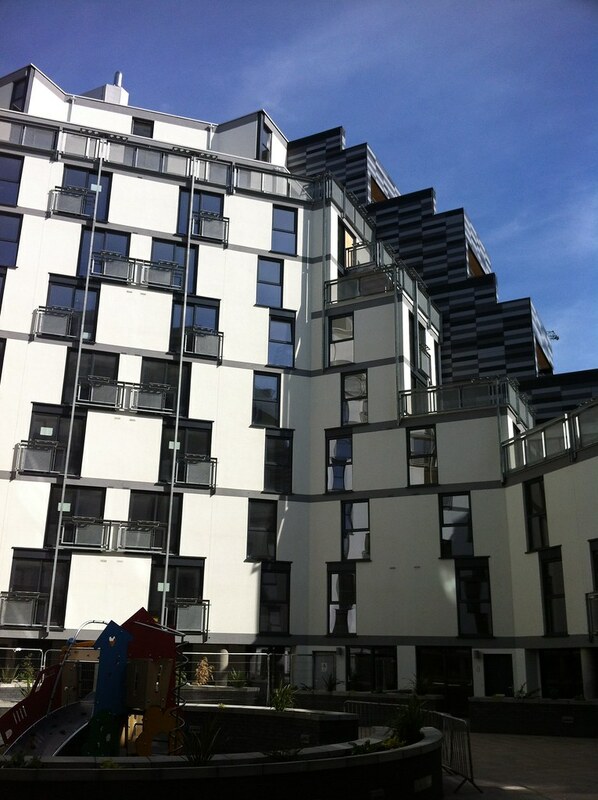 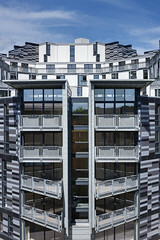 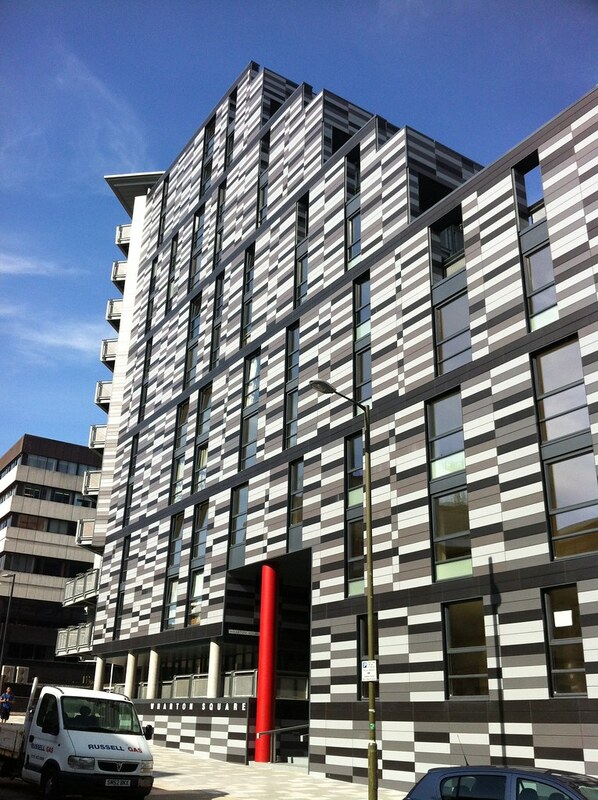 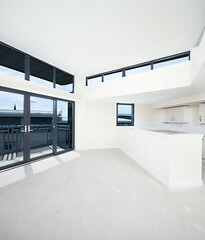 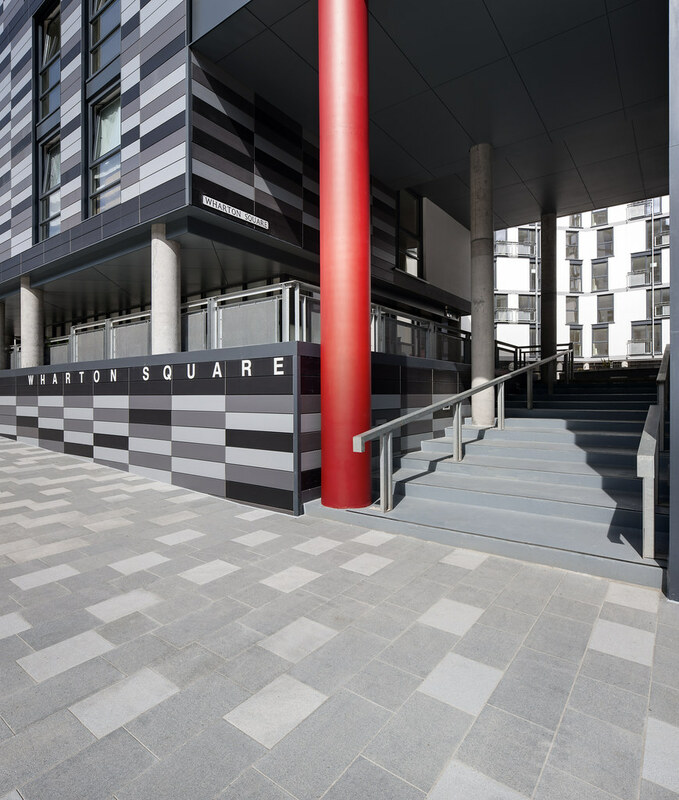 All access to the block is made via a new double height opening facing Chalmers Street which leads into the central courtyard which forms the hub of the scheme - the communal facilities on the ground floor are accessed from here as well as all the stair/lift cores. 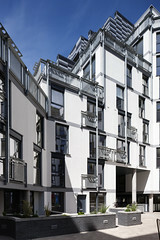 The courtyard is a semi-public space for the residents. 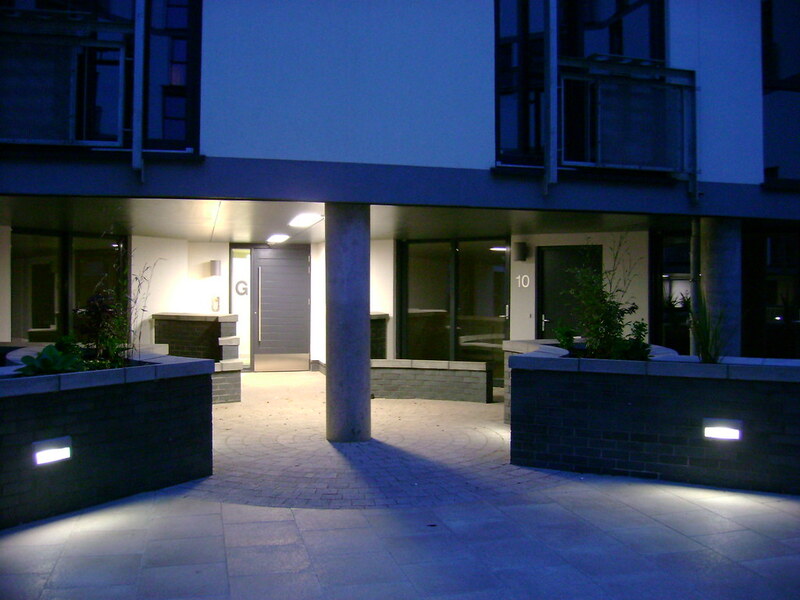 A central play area was created and a nursery was completed in December 2013. 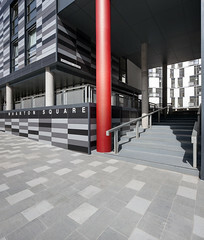 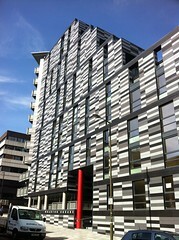 The project received funding approval in October 2010. 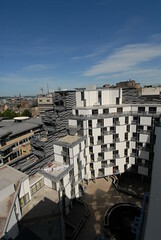 Construction started in January 2011 and the project was completed August 2013.